Winter marks a change in our eating habits, as the frosty mornings and dark evenings leave us yearning for the comfort and warmth of the indoors. This is also reflected in the food we crave, with hearty warming meals certainly becoming the order of the day. With winter warmth in mind, we’ve put together some delicious dishes. From hearty stews to luxurious pies, here’s a selection of our favourite comfort food delights. When it comes to truly nutritious and hearty foods, soup is a great way to combine healthy ingredients to create a wholesome, warming dish for friends or family. 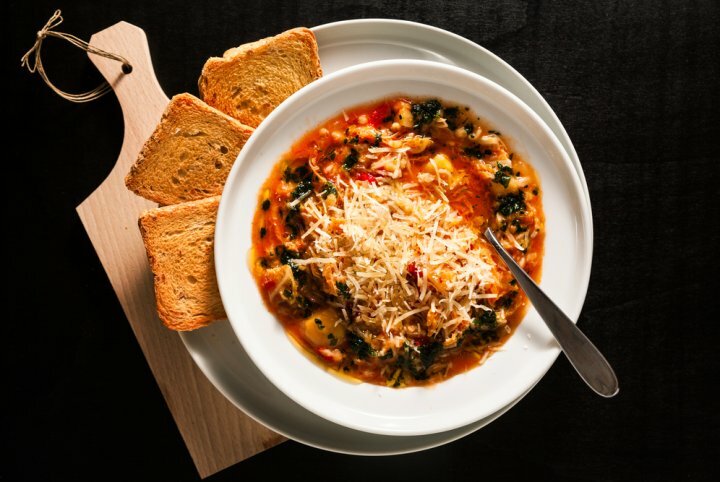 If you’re looking to use up leftover vegetables, then a classic minestrone soup is a great option. Cottage pie is, of course, a true British comfort classic and one of the perfect winter dishes, packed with indulgent textures and rich flavour. This slight twist from Mary Berry gives the humble cottage pie an extra special edge through use of a dauphinoise potato topping. The beef mince filling should have a rich depth of flavour, with red wine, beef stock and Worcestershire sauce used to increase the intensity of flavour. For the topping, the potatoes should be peeled and parboiled before layering onto the beef filling, finished with a helping of cream and cheese. Take a look at Mary’s full recipe here. Flaky pastry housing an indulgent filling – food doesn’t get much more satisfying in the depths of winter than a hearty pie. Where to start with the filling? Chicken, smoked bacon and leek bubbling away in a creamy sauce is a fantastic and suitably decadent choice for the cold season. A golden, flaky layer of puff pastry makes for the perfect pie topping, whilst double cream, chicken stock, wholegrain mustard and tarragon combine sumptuously for the filling. 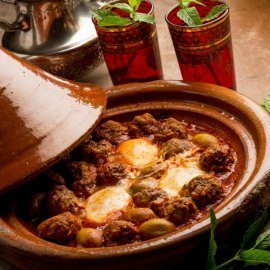 If you’d like to venture further afield for your winter inspiration, the earthy, fragrant flavours of North Africa are an excellent source of culinary exploration. 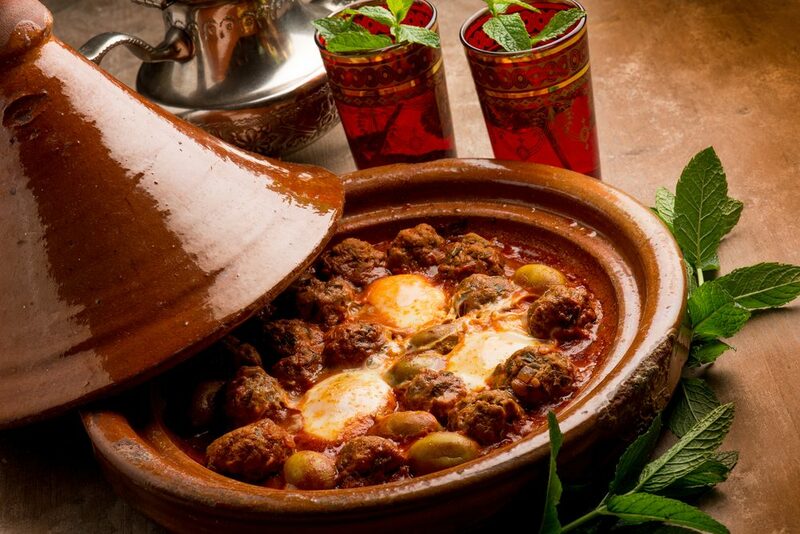 Tagines are a type of stew, often using lamb which is slow-cooked in a spiced tomato sauce. Try combining a blend of garlic, ginger, cinnamon, cumin, paprika and turmeric with chopped tomatoes, chickpeas and stock to create a rich base to cook the lamb. If you’d like a meat-free option, the lamb can easily be replaced with large chunks of squash and sweet potato. Once the tagine sauce has reduced and intensified in flavour it’s time to serve with couscous and flatbread. For an added touch of flavour and texture, sprinkle some pistachios or pomegranate over your servings. 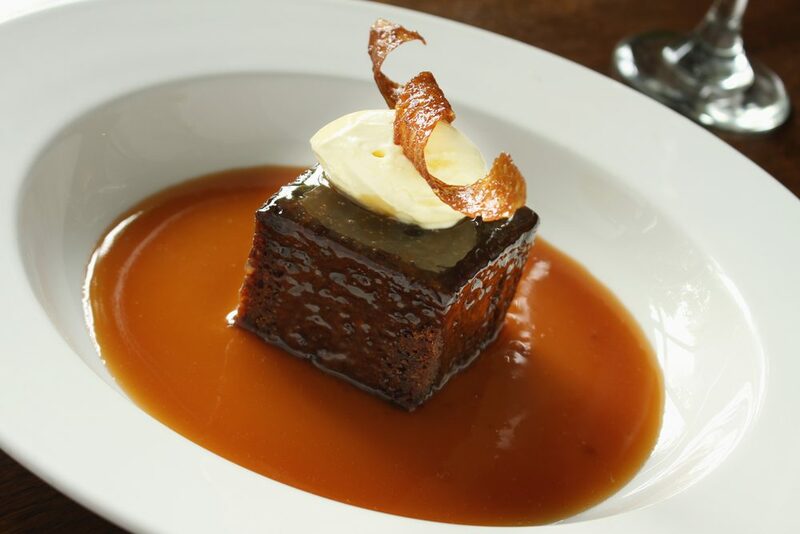 For the perfect winter dessert there are certainly a number of contenders, but the classic luxury of a sticky toffee pudding just can’t be beaten! Decadence, rich sweetness and beautiful texture are synonymous with this luxurious pudding. 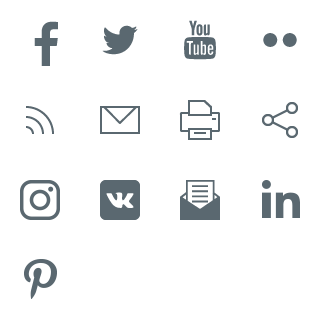 The method isn’t too difficult – it just requires a little patience and preparation. Medjool dates and black treacle are key ingredients to get hold of, alongside some of the usual pantry staples. 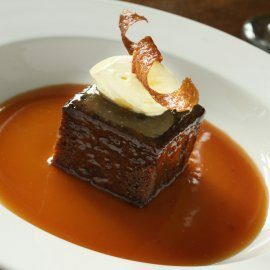 Check out this recipe here and then it’s just down to the big final choice – to serve with cream, custard or ice cream? Show us your results on Twitter and Facebook and follow us for more #SimpleFacts recipes along with home inspiration, product updates and more.